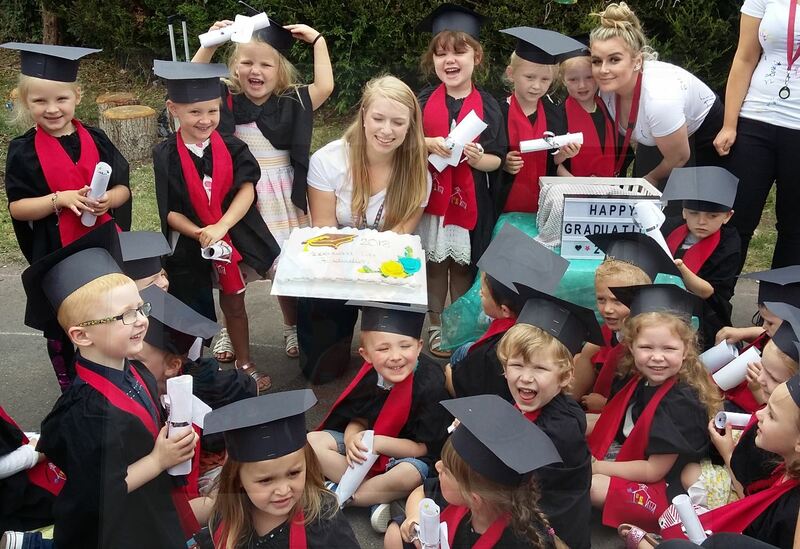 The fun-loving 4 and 5-year-olds graduated in front of their parents in an emotional ceremony at Abbeywood Tots Stockwood. During the ceremony, the children performed fabulous renditions of S Club 7’s ‘Reach for the Stars’ and Toy Story’s ‘You’ve Got a Friend in Me’, singing and dancing as their proud parents looked on. Dressed in tiny caps and gowns, the little graduates also did some fancy freestyling, performing their own dance moves to The Beatles’ ‘Twist and Shout’. “Many of our children have been with us since they were tiny babies, so we’re all feeling very emotional now it’s time to say goodbye. “Over the years, our children haven’t just been learning numeracy, literacy and ICT- they’ve been learning independence, social skills and all about healthy living. “We have a qualified teacher in our pre-school, so although we’re sad to see our children go, we’re very happy in the knowledge that they are fully prepared for their next adventure at primary school.